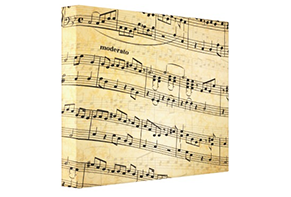 While music takes you to an entirely new world, the lyrics of a song can lead you to the emotions you’ve been concealing over time. 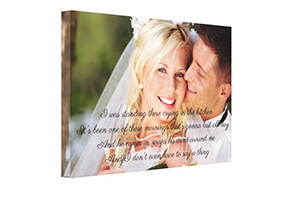 Express those emotions using our custom lyrics prints on canvas. Is there a song that’s way too close to your heart? Be it the moments when we feel dull or those amidst the party light. We have a song for almost every expression. A song that is close to our heart and narrates our emotions in a most intriguing manner. 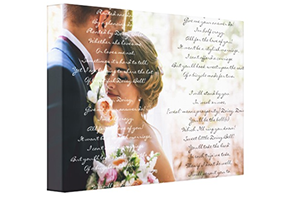 The custom lyrics on canvas prints made at CanvasChamp avail you with a range of options to make your personalized lyrics on canvas prints. 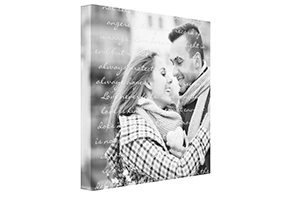 Every word in itself carries an ocean of emotions and untouched expressions. 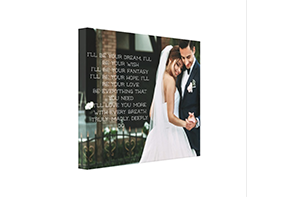 Spread them further with lyrics on canvas prints. 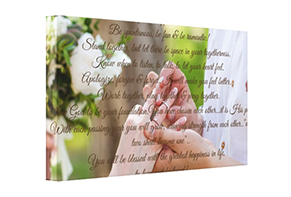 Every lyric on canvas prints is packed with utmost security to ensure it reaches your doorstep without any damage. 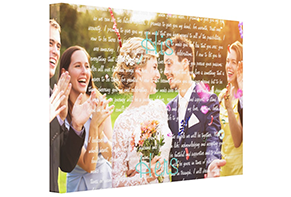 Printed under the supervision of experts and crafted by experienced artisans, you can stay assured of having best lyrics on canvas printing. 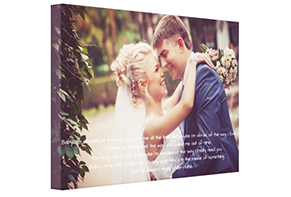 Not just the design but you can also customize it as per your budget and the size you want. If you aren’t completely satisfied with the product you receive, we’ll have it replaced for you. Our service representatives will leave no stone unturned to give you best services. 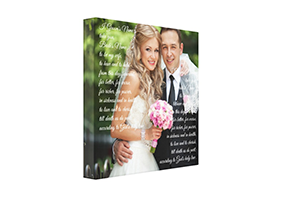 To build your priceless canvas prints, we use the best quality certified inks only. 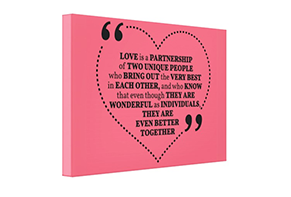 Get Art Advisory on each order by skilled designers. 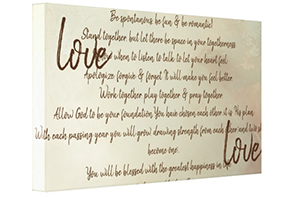 All images Will be reviewed and corrected by Artists before being printed. Our team respects the time you invest in us. This is why we promptly reply to every single query you share. The day is undoubtedly among the most special days of your life. You can’t simply let the moments fade with time. 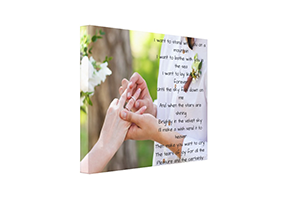 Give them the scent of bliss with our range of custom wedding lyrics canvas prints.